Please call us at 850-278-3885 if you don't see the appointment type or availability you are looking for. Dr. Bolduc has more than 30 years of experience in private pediatric practice and comes to Miramar Beach from Newport News, Virginia. Most of that time was spent with the Children?s Hospital of the King?s Daughters in Norfolk, Virginia. In addition, he served as an Associate Clinical Professor at the ... Read More Eastern Virginia Medical School. Throughout his career, Dr. Bolduc has served as chairman of pediatrics at Riverside Regional Medical Center and at Mary Immaculate Hospital. Dr. Bolduc also served in the United States Air Force and was stationed at Langley Air Force Base in Hampton, Virginia. 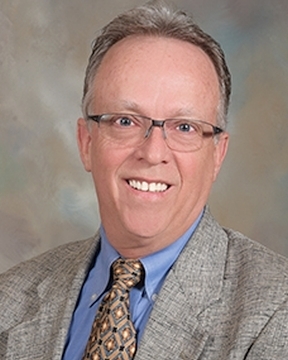 Dr. Bolduc received his medical degree from the Medical College of Ohio. He completed his internship and residency in pediatrics at the University of Rochester?s Strong Memorial Hospital in Rochester, New York, where he served as chief resident in his third year. Dr. Bolduc has also completed a fellowship in integrative medicine at the University of Arizona in Tucson. He is a fellow and active member of the American Academy of Pediatrics (AAP). Dr. Bolduc has special medical interests in asthma, special-needs children and sports medicine. He is an advocate for breastfeeding and prenatal health. Dr. Bolduc strives to help his patients achieve optimal wellness by incorporating nutrition, stress reduction and fitness into his well visits. Dr. Bolduc is accepting new patients, newborns through age 18. Same-day appointments are usually available, and most major insurances are accepted. When not seeing patients, Dr. Bolduc enjoys spending time with his wife and his dog Finn, enjoying the beaches and natural beauty of the local area.